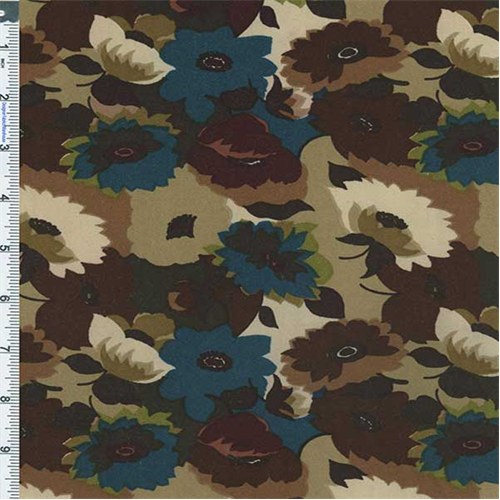 Autumn Flowers Printed Mole Skin Suede Fabric By the Yard, Dark Cerulean/Tan. Soft and medium weight mole skin suede. Widthwise stretch, no lengthwise stretch. Suitable for tops, skirts, dresses.